Since taking refuge in Living Buddha Lian-sheng, Shen-yen Lu, whom I refer to with great admiration as Grand Master; there has been a dramatic shift in my consciousness. Having been raised in a religious environment and a student in several religions I referred to myself as a spiritual traveler and cultivator. Not until recently could I determined I was spiritually stagnate, and had been for the majority of my life. 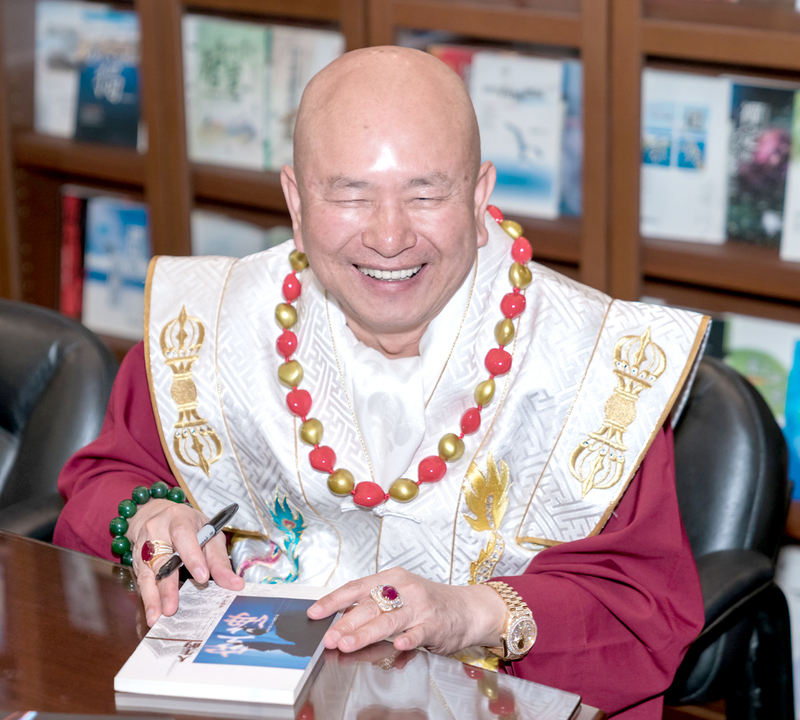 Upon reading Grand Master’s book, “The Inner World of the Lake”, it afforded me the opportunity to get a glimpse into the mind of highly enlightened Master Sage and from there an affinity became very obvious. With an inquiring mind I set my sights on learning all I could and began my journey towards enlightenment. That was three years ago! I must reiterate that only the surface has been scratched thus far as there is so much to learn. Initially language was an obstacle, but through continued study and an open mind this too is being overcome. Walking the path towards enlightenment is a lifestyle that must not be taken for granted; gaining insight on one’s self is a very humbling experience as the ego is left far behind. While working on stabilization and the development of wisdom as a True Buddha School disciple many doors have opened and some have closed. Gone are many attachments that I have struggled with for my entire lifetime. Healing of the mind and body through visualization, and other techniques taught by Grand Master has granted me the realization that this is my true destiny. I can say, without reservation, that the teachings of the Buddha resonate with me as a person of color in America. I understand that most black people find inspiration in the Christian tradition and I have great respect and love for my Christian brothers and sisters. However, I feel that the Four Noble Truths, The Four Preliminaries and the basic teachings of the dharma are universal and can inspire all people, regardless of their background; and for me, Buddhism provides a path of practice that resonated on many levels. people who are different from us. Different voices bring different perspectives; it’s always good to bring everyone to the table. So, I am happy and humbled to share my experiences and I hope we continue to hear more diverse voices as The True Buddha School continues to grow in the West. Om Mani Padme Hum!